Do you need a picture for your Christmas or holiday cards this year? 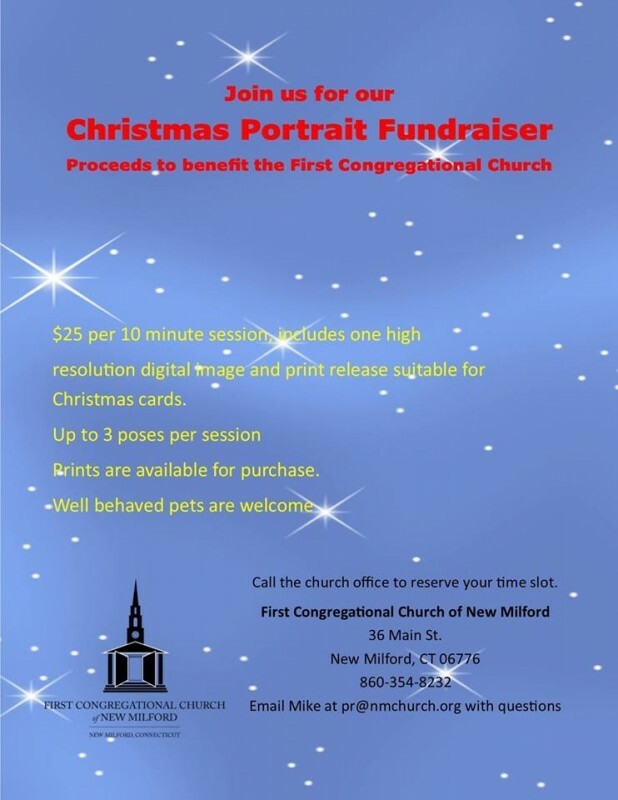 Mike Bensema Photography is conducting a fundraiser to benefit the First Congregational Church. For $25, you get a 10 minute photo session with a holiday oriented scene. Each session gets one digital image of your choice suitable for use on holiday cards or printing up to 8x10. Additional prints and digital images are available at additional cost. This is a pet friendly event, so feel free to bring your well behaved pets with you.